The lake real estate market has grown consistently over the past two decades. This positive trend has created the ideal conditions for lake property owners to capitalize on their investments. 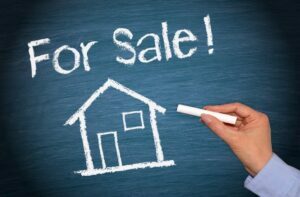 However, a healthy market doesn’t prevent sellers from facing hurdles in the future. Selling your lake home has nothing to do with luck and everything to do with good strategy. So to get the most out of your sale, avoid these most common mistakes. When you dive into the deep end of home buying and selling, there are layers of red tape and legal requirements to sift through before anything can be finalized. This is especially true for secondary or vacation properties. In fact, waterfront homes, as opposed to off-lake properties, come equipped with an entirely different set of laws and regulations to consider. Some homeowners may have been well-versed in nuanced local regulations when they bought their home. Still, it couldn’t hurt to check if any of them have been changed or updated. Since selling a lake home is something most people will only do once, it’s important to avoid small errors that can add up to high out-of-pocket costs. For instance, if a private dock is included in the home sale, sellers and buyers must navigate the transfer of dock ownership. This comes with layers of legalities that can sometimes uncover hidden problems. If a seller discovers the dock was not properly permitted before construction, or that a permit is expired, it could lead to a hefty fine from lake authorities. In extreme cases, an order to tear the dock down may result if the structure is in violation of too many regulations. And in the face of excessive legal complexities, permit troubles could even aid the loss of a sale. Sellers should also be aware of riparian rights, or those laws concerning water access and ownership. Additionally, environmental restrictions and regulations for flood insurance can all vary from lake to lake and state to state. So remember to dot your Is and cross your Ts to prevent any unwelcome surprises. Waterfront properties require even more maintenance than off-water homes due to inevitable environmental factors. Areas like lakes and rivers have high water tables, or layers of densely saturated soil where groundwater collects. If your home’s lake frontage has poor drainage, these water tables can lead to basement or crawl space flooding, septic system failure or standing water, which attracts insects. And for any waterfront home, there’s the ever-present threat of water erosion. Eroded soil can create deep trenches in your property, leading to foundational shifts and eventually, collapse. Also, water damage or the presence of mold can call for some substantial renovations. So while there are areas where it’s okay to cut costs when prepping a home for sale, the health of your property’s infrastructure isn’t one of them. Spare no expense when it comes to home inspections. Don’t forget to be extra attentive to those structures most prone to moisture-specific issues, like docks and boathouses. Sellers should also take steps to winterize their lake homes if they live in areas where temperatures drop dramatically. Most potential home buyers aren’t looking for a home they’ll have to sink thousands into to fix up. And in the face of problematic homes, potential buyers can easily be scared away by the price tag on replacing major structural elements. Not to mention, in this litigious society, failure to disclose significant structural damage before closing a sale can result in an ugly lawsuit. Your job as a seller is to make home buyers confident that their new investment is secure and strong enough to withstand the elements over time. A lake home’s curb appeal extends well beyond the cobblestone pathway and rose bush in the front yard. While your home’s street view is important, a manicured lake view is a crucial component in the selling process. Chances are home buyers are buying because of the lake. Therefore, most of them already know exactly what they want out of a waterfront home. A world-class view, private beach access, or just a place to boat and fish are all popular aspects of the lake lifestyle. A smart seller will emphasize that aesthetic to help potential buyers envision themselves living at the lake. Repainting the deck, setting up some waterproof patio furniture and adding a grill or fire pit could help to create a warm and inviting outdoor living space. As for the turf on the lake’s shore, be sure to pull weeds and rake the sand if there is any. Pick up any trash that may have washed ashore and mow and edge the grass. Also, make sure the path from the home to the lakefront is clean, clear and easy to navigate. Path lighting is ideal for both aesthetic and functional purposes. 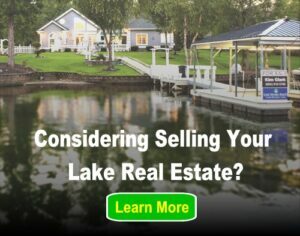 When selling your lake home, it’s important not to drop the ball on selling the lake lifestyle as well. It’s easy for sellers to overlook important details when trying to get home buyers to bite. So avoid these common mistakes to better your chances at selling your waterfront property.